First-Year Seminars do not satisfy major, minor, or concentration requirements. May be used to satisfy major, minor, or concentration requirements at the discretion of departments and programs. Demonstrated proficiency through the Intermediate Level (103 or 201, depending on the language). May be satisfied by completing activities, selected from physical education activity classes taken on campus or while on study abroad, intercollegiate sports, and Land/Sea. Every student must complete a major. Some students also choose to declare a minor, concentration, or second major, although those are optional. Some departments may require majors to pass a comprehensive exam to complete the major or graduate with honors. Majors, minors, and concentrations are described in the Academic Programs section of the catalog. Please consult those descriptions for requirements in those programs. A Minimum 2.0 cumulative GPA in major coursework is required for graduation. 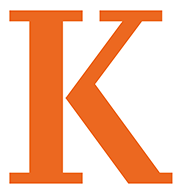 A minimum of 18 full-unit courses must be completed at Kalamazoo College, including 6 of the last 12 courses*. These minimum units exclude units earned on Study Abroad, study away (including GLCA programs), and inter-institutional registration. *Students on approved 3/2 engineering or health professions early entry programs are not subject to the SIP requirement or the requirement that 6 of the last 12 courses must be at Kalamazoo College. Development of skills such as writing, oral communication, cultural understanding, critical thinking, creative expression, reflection, quantitative reasoning, information literacy, and research skills will take place across the curriculum: in seminars, in many general education courses, and in the major. Majors may require liberal arts cognates to supplement or complement the learning that happens within the major, whether that be skill development, concept understanding, or related content.